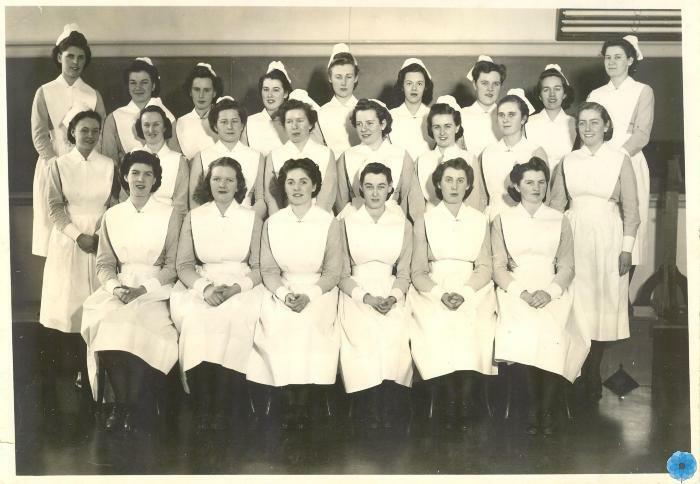 Description: Black and white photograph of a large group of 23 women wearing nurse's uniforms. Jean I. Gow of Bridgewater is identified as the third woman from the left, back row and all others are unidentified. Graduating class taken at the Montreal General Hospital, Quebec. History of Use: Taken to document graduating class of nurses.